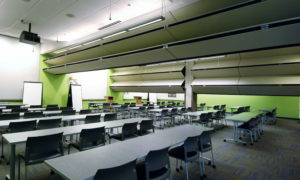 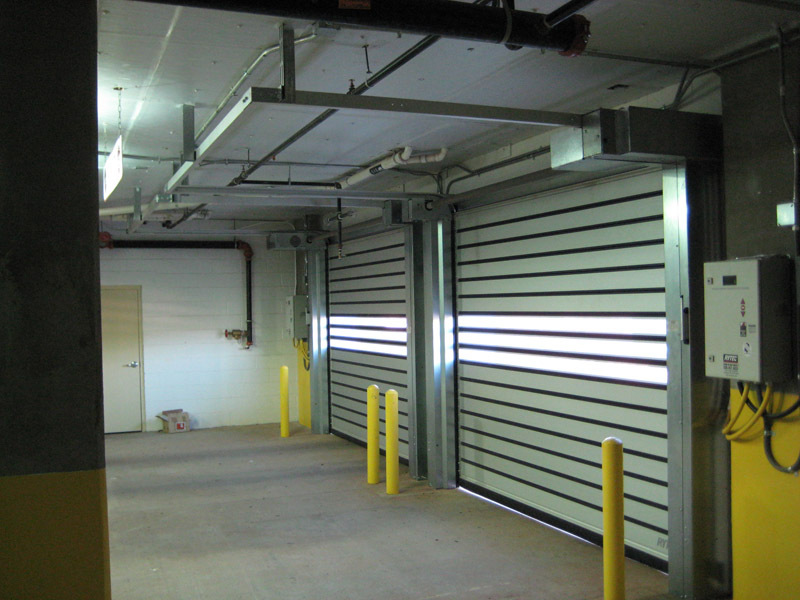 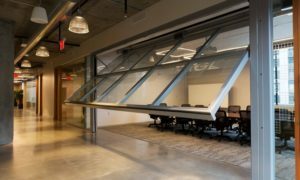 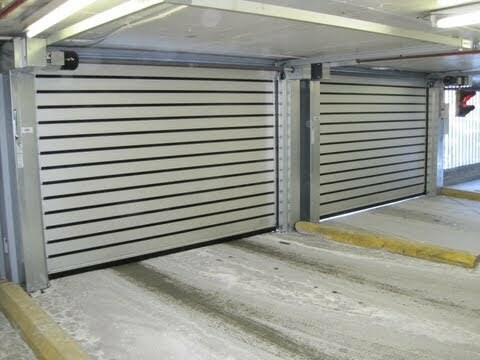 The Spiral Low Headroom door offers high-speed for high-traffic situations while meeting the low headroom requirements of parking garages or other commercial structures. 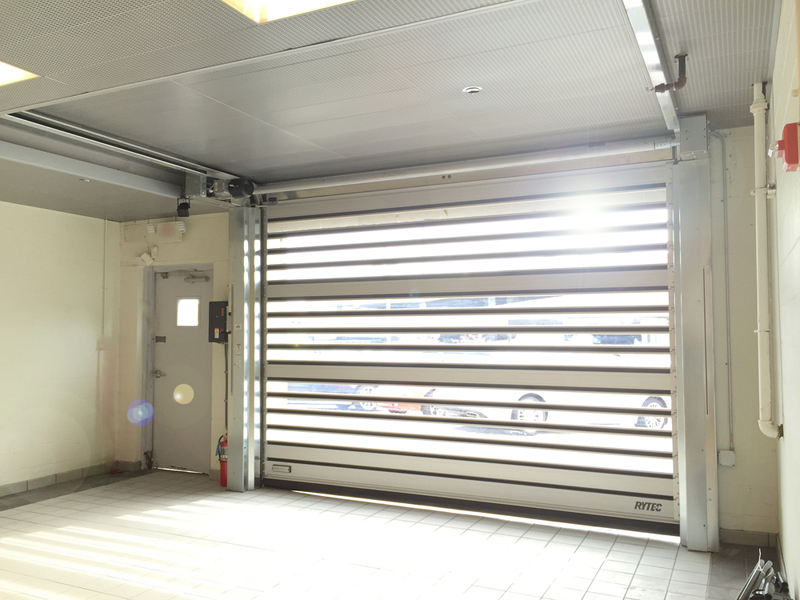 Rigid, aluminum slat construction eliminates the need for a second security door and crisp lines give the Spiral LH a stylish look. 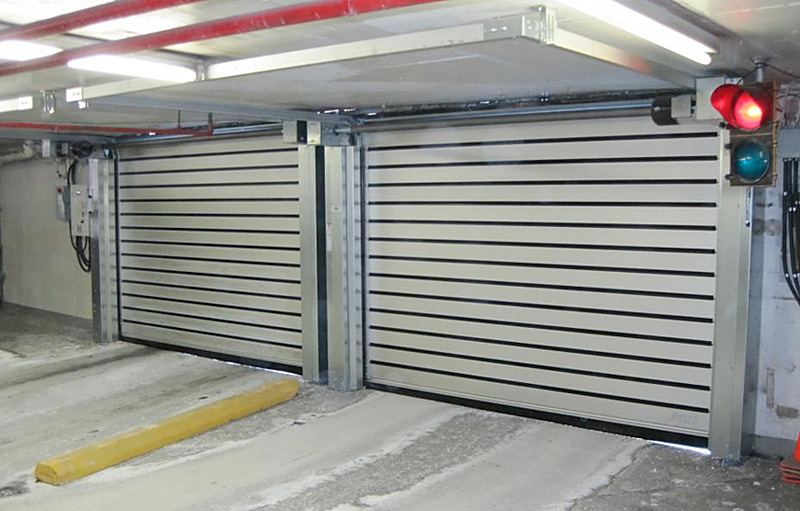 The Spiral LH is ideal for automotive dealerships, government, parking and security.